What is your favorite romantic scene from a novel? Why has it stayed with you? The answers we received were surprising and touching, and provide a little glimpse into each writer’s reading world. Books are often an emotional experience, after all, and through them we often see our own breathless dreams and longings and aspirations reflected. Fair warning that each day features a scene that probably contains some spoilers, so you may want to skip them if you haven’t read the book and plan to do so soon. In trying to come up with an answer for this question, I discovered something twisted about myself: I don’t seem to enjoy happily-ever-romance in stories—at least, my most-loved novels are utterly lacking in this, and I seem especially attracted to sad endings. But then I remembered there was one scene in a book I once read that I found terribly romantic, and I’m going to tell you what it is even though it’s an embarrassing one since it is just…so…obvious. And I had a difficult time articulating it, but I remember that scene striking me as the most beautiful and devoted thing. And it was wonderfully sad, too. 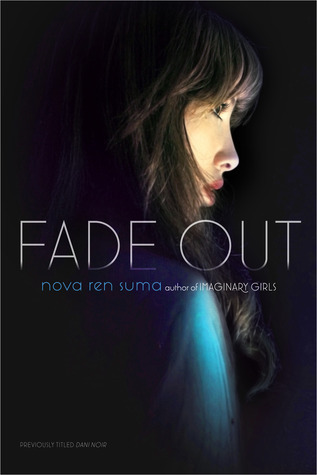 Nova Ren Suma is the author of Imaginary Girls (2011) and Dani Noir, which is being reissued as Fade Out for YA shelves in June 2012. Her next YA novel is 17 & Gone, due out from Dutton/Penguin in 2013.She can be found at novaren.com, on her blog distraction99.com, or on Twitter as @novaren, distracting herself endlessly. Really? I hated that scene. I wanted to punch Henry for stealing potential happiness from Clare. She spends all this time waiting for him to return for a few moments alone with him when she’s a hunched back little old lady. How terribly sad. Everyday she wonders if she’ll see Henry again, when she could have been finding happiness with someone else. I believe there isn’t just one great love in our life. I think we can have more than one. I would have preferred it if that scene was left out, like in the movie. This is one book where I liked the movie better than the book. I’ve not read The Time Traveler’s Wife, but I sure will be checking it out soon. The way Nova put it, the scene sound so romantic and sad. Wonderful post, Wendy! I’m going to check out the other two posts now! My favorite scene from TTW is probably a tie between when Henry first meets his daughter and then when he visits the future and sees his daughter after he’s died and Clare just misses him. Makes me sob every time. I loved The Time Traveler’s Wife, and agree that this bittersweet ending is so perfect and easy to fall for. I personally prefer these types of endings, and I’m not sure what that says about me. 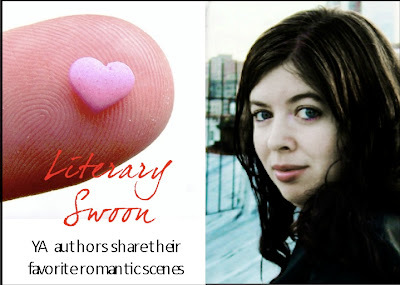 Literary Swoon is a great idea for a series! I haven’t read TTTW but now I really want to, what a great way to end a book. I also need to read Nova’s books too! 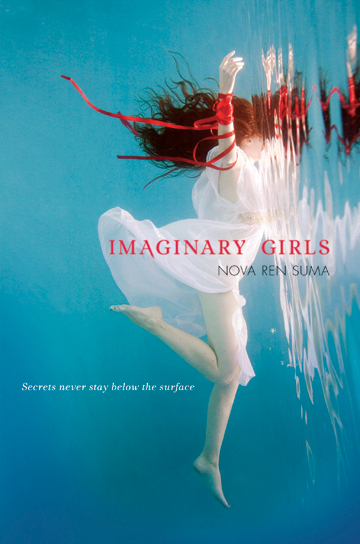 I adore Imaginary Girls–it’s very Twilight Zone-y, in the best possible way. :) And I will definitely pick up Jaclyn Moriarty sometime! Nova has such a way with words. I read TTW and sobbed like a baby. I’ve always been interested in time travel so to throw this sort of love story on top of it… I never stood a chance. Then last season’s scenes with the Doctor and River on Doctor Who reminded me of the book a bit and I cried then too. Time travel and romance is clearly the way to embarrassing tears for me. I still need to read the Time Traveller’s Wife but I’ve heard wonderful things about it and will definitely be picking it up soon :) Awesome post Wendy and an absolutely adorable, perfect for Valantine’s Day scene!!! I haven’t read The Time-Traveler’s Wife but that scene sounds so sweet and romantic. I loved Suma’s reaction after reading it even more. Aw, thank you so much for participating and for writing such a lovely post, Nova! It was such a great way to start off the series. :) Look forward to hearing more about 17 & Gone when you’re ready to share. This is not a new book, it’s Dani Noir with a different title and cover? Cillian, you are so sweet! Oh, I’m sorry to say this because you got so excited. That’s the paperback version of DANI NOIR. They gave it a new title and cover (and I made some new updates to the story). My *real* new book is coming out with Dutton and it’s called 17 & GONE… I’ll have more news about it I hope soon! I haven’t read The Time Traveler’s Wife, but I read Imaginary Girls (a 2011 absolute fave) and I’m electrified to see her here. I wish she’d join GoodReads so we can see her more often. And she has a new book coming out, I need that book in my life NOW! “I’d wait for youuuuuu!” LOL. I’m still laughing xD o never watched or read the time travelers wife but my sister is a huge fan and being a hopeless romantic herself, I bet this was a nice pick for swoon-ness. The scene mentioned is definitely heart moving! Yay, I’m glad you’re enjoying this feature, Racquel! Lots more fun posts to come. :) Thanks for stopping by. 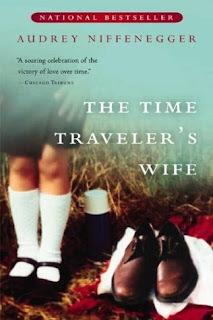 I loved The Time Travelers Wife. It was such a great book. I love that scene. I think that it’s very beautiful. It’s just so touching. OK, I am just going to say it. This post made me cry. Now I have to go call my husband. Then I have to read The Time Traveler’s Wife. You are not supposed to read book blog post and cry, but that really got to me:) Wonderful post. This is a very sweet scene and personal story:) I think I’m drawn to tragic romances as well, because somehow they are sweeter when there is bitterness in them. I’m the same way about bitter-sweet endings. I think its because, in a way, its way more romantic. You explore the limits, or lack thereof, of what you would do to do the right thing in the name of love. People say sometimes love isn’t enough, and I agree. But sometimes it is. Sometimes love is so great and so pure, that a fleeting glance is fills your soul enough to last a lifetime. I tried twice (and failed twice) to read The Time Traveler’s Wife. I know, I know – everybody loves that book. I am so hard to please. I just couldn’t get into it at all. Maybe I should give it another try sometime. I need to read Imaginary Girls too. It’s my on my TBR for a while! OMG! Yes, that scene slayed me too. I loved everything about The Time Traveler’s Wife. I read the book and then listened to the audiobook! I don’t think I’ve read this book, but I think I saw a movie like that. I agree with you it’s a wonderful end, so beautiful! Thank you so much for sharing with us. Love the time travelers wife. gotta read it again! I feel the exact same way! I don’t know what it is about sad and heartbreaking endings, but I tend to hold them closer to my heart than happier ones. Maybe it’s because they’re not as common or something else — I’m not really sure! x) And I haven’t read The Time Traveler’s Wife yet but I watched the movie the other day and I bawled like a baby! I generally loooove sad books so I’m glad to hear this one is good! Isn’t that scene lovely? It was a pleasure to read it, and it was such a good pick for this topic. I remember reading The Time Traveler’s Wife in high school, and while I know I liked it, I’ve gotten kind of fuzzy on a few of the details. It might be time for a reread! I heard such great things about this book, and after reading that scene, I think I’m going to have to pick it up soon!